Alle categorieën Multi-fit Merk Style Fabrication Onderhoud Apparel On Sale! The noticeable difference between National Coarse (UNC) and National Fine (UNF) threading is the number of threads per inch. As illustrated in the chart above, there can be a significant difference in the number of threads per inch between UNC and UNF threading. UNC is the most common general fastener thread; the fit is deeper and is more versatile in its application. With fewer threads, it is easier to apply and easier to remove. Coarse threading also handles manufacturing and plating better than Fine threading due to it having greater tolerances. However, UNF threads are not as deep as UNC threads and this larger minor diameter allows for better load-carrying ability. The fit is more specific with finer tension adjustment and tighter tolerances. 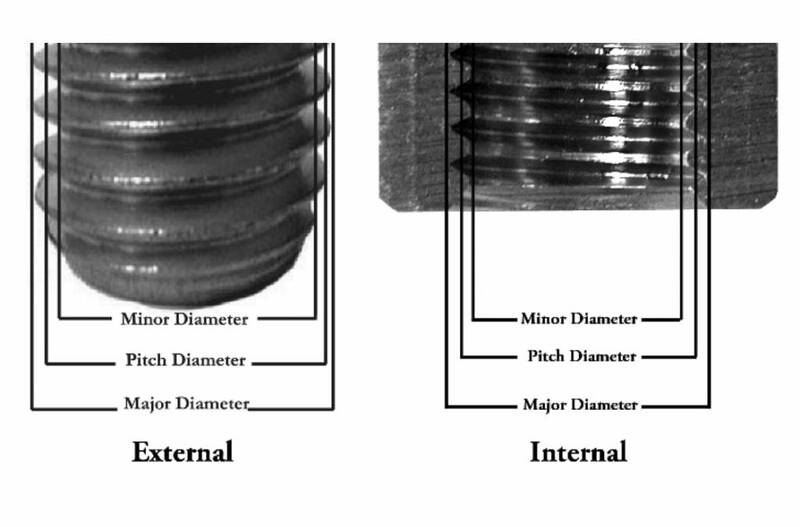 Finer pitch threads are mostly used in applications where safety or where loosening due to vibration or shock would be an issue.